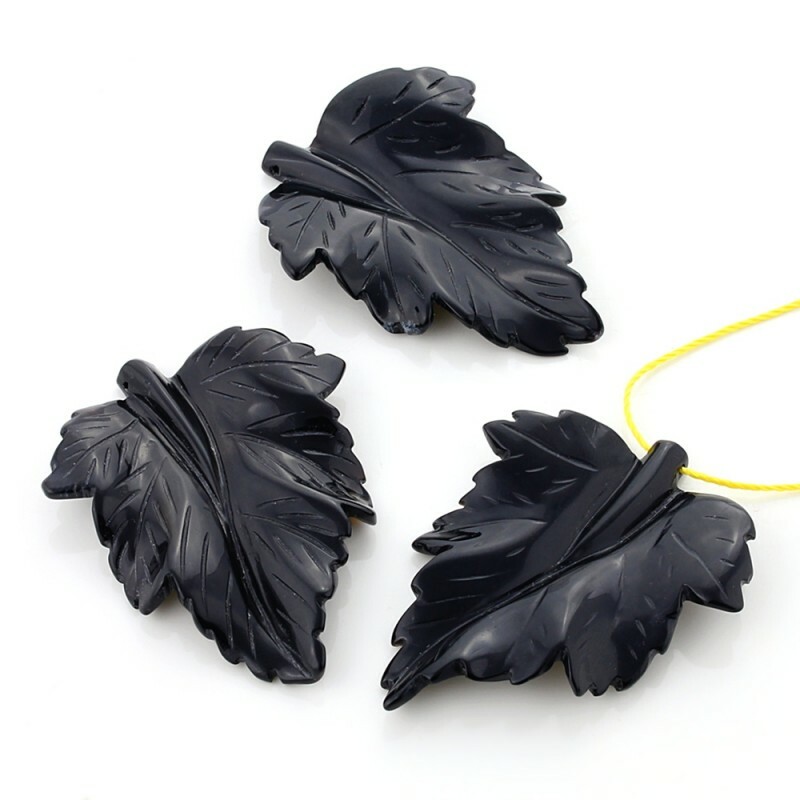 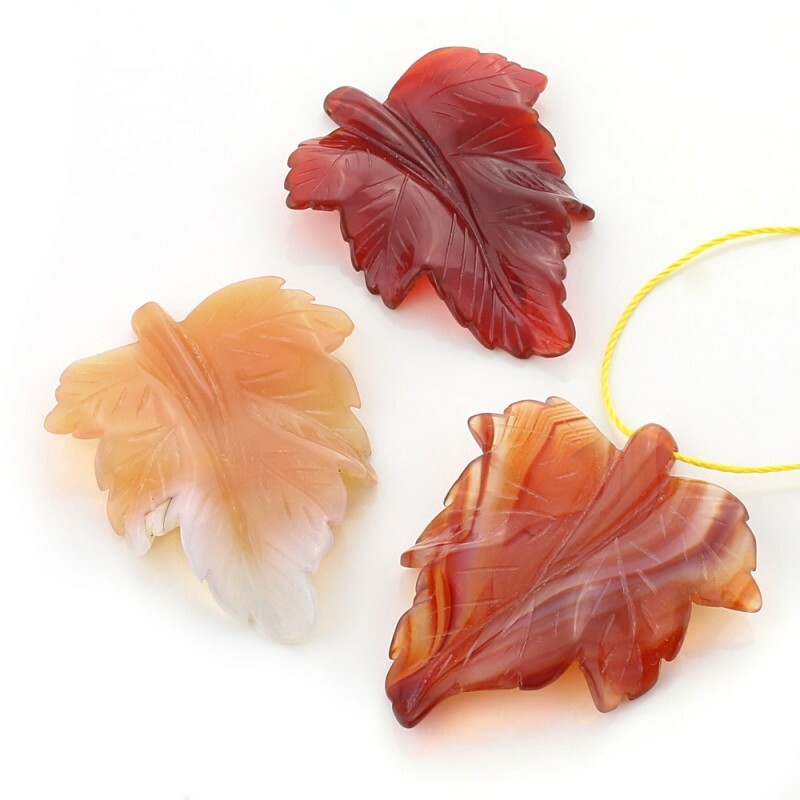 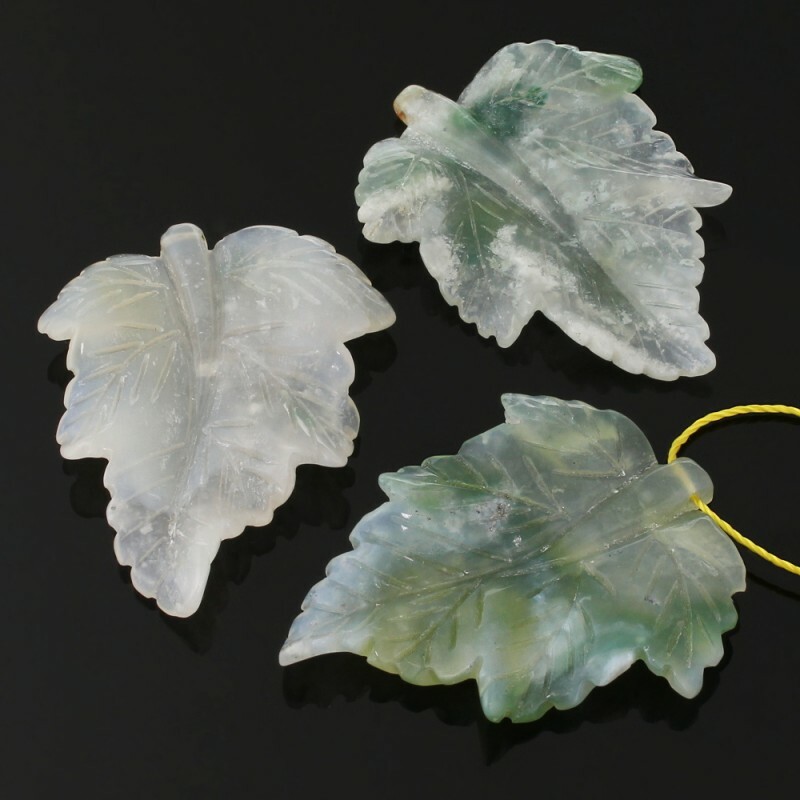 This original pendant of natural stones is carved in leaf form in three dimensions. 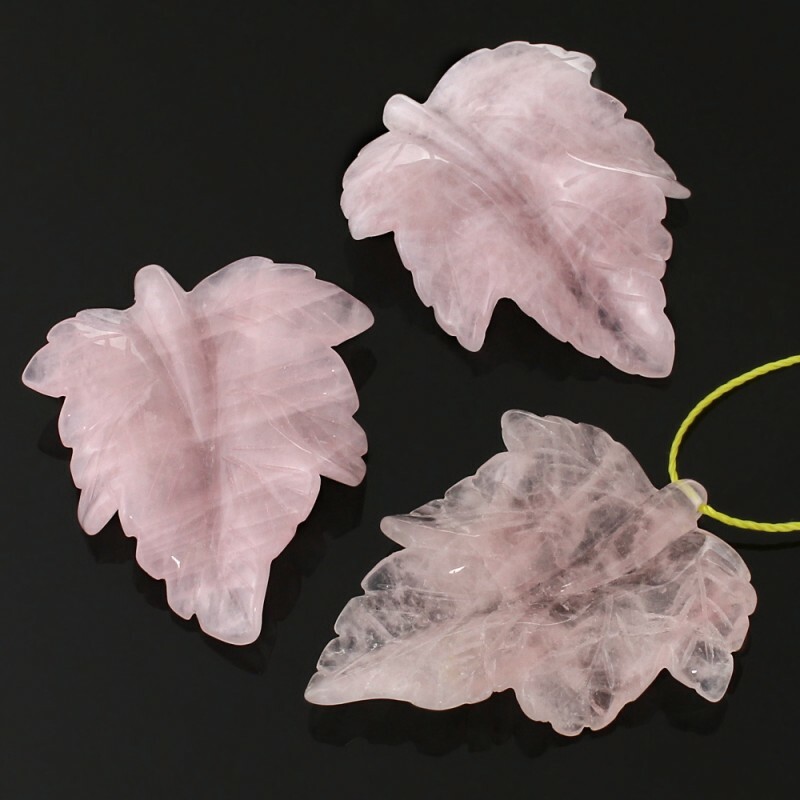 It has a hole to facilitate its use as a pendant or to make necklaces, along with other beads. 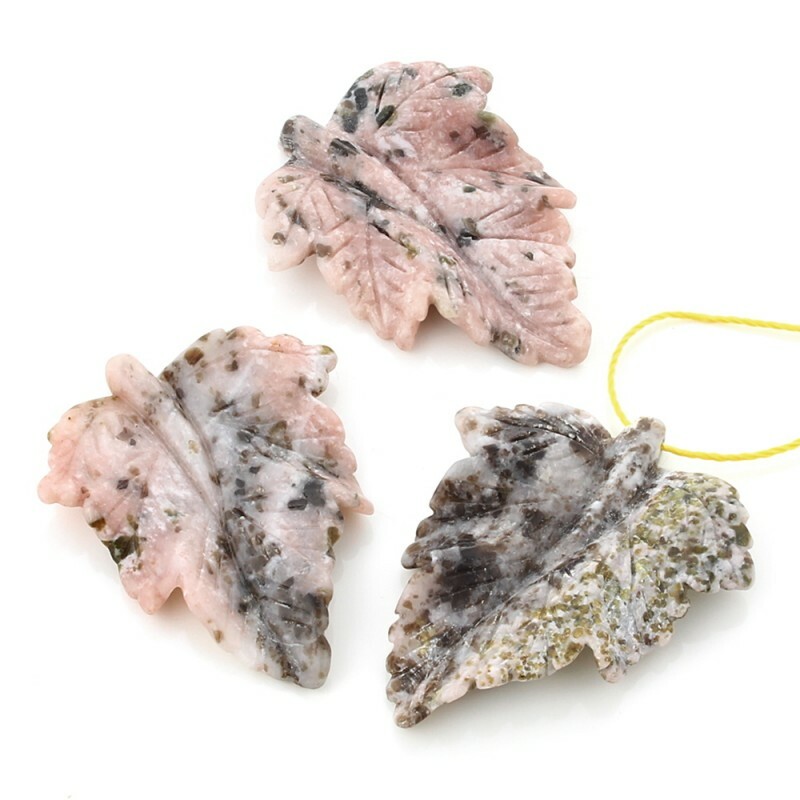 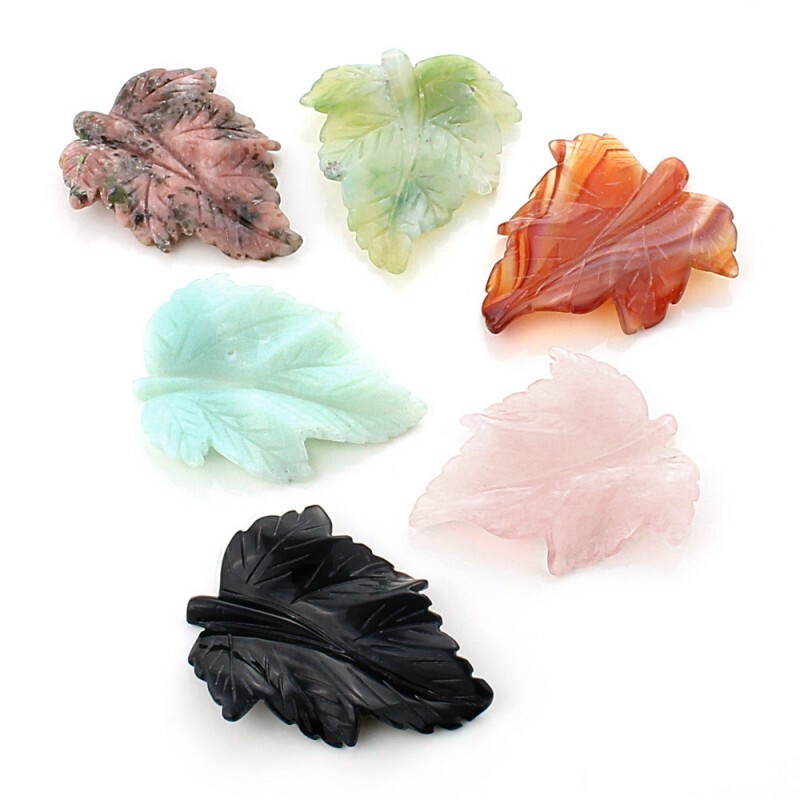 The leaf is available in six different stones: Green Agate, Amazonite, Carneola, Rose Quartz, Dolomite and Onyx. 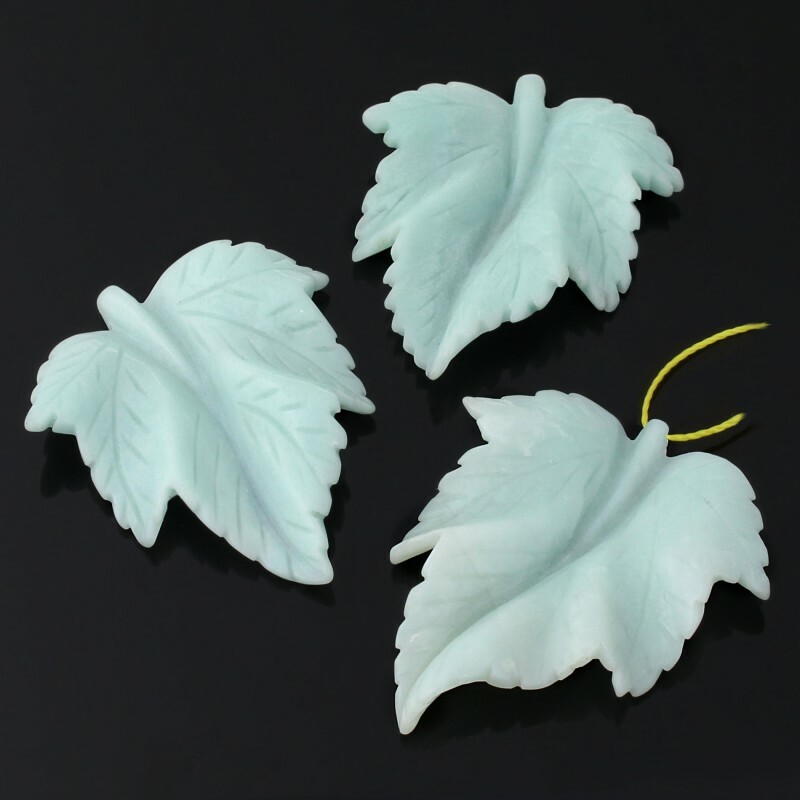 Its measures are of 58 mm x 48 mm approximately, and its weight of about 15 grams.